The Society for News Design (SND) has just announced some of the winners of their “Best of Digital Design” competition. Stay tuned for a complete database of winners and the nominations for the World’s Best awards (the winners will be announced on April 11 at the SND’s annual workshop in Washington, D.C. Here is a partial list with the Gold and Silver medals. All the usual suspects are represented, with awards going to The New York Times, ProPublica, National Geographic, Los Angeles Times, NPR and more. We haven’t had a chance to look at all the winners, but we were really happy to see one of our favorite pieces of the year has been awarded. 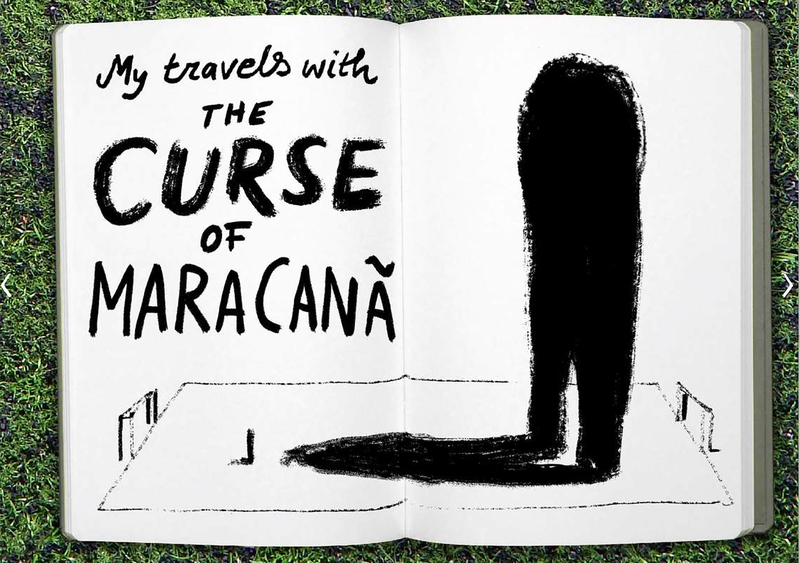 It was illustrator Christoph Niemann’s very original story on the Brazil World Cup and the famous “Curse of Maracaná” of the 1950 tournament, for The New York Times. We’ll be involved in the judging of the parallel Student Society of News Design competition. The Tapestry Data Storytelling Conference is a one day event by invitation only in Athens, Georgia. It will take place on March 4. Here are the attendees (they like to keep it to about 100 people) and a link to request an invitation. The main event in the world of infographics is also just a few days away. The 23rd Malofiej infographics conference and awards will take place at the University of Navarra in Pamplona (Spain) on March 18-20. The conference is preceded by the Show Don’t Tell workshop, led by instructors John Griwmade, Alberto Cairo and Geoff McGhee (I won’t be an instructor this year). OpenVis, a highly recommended web data visualization conference takes place on April 6-7 in Boston. I was the closing keynote speaker in 2013 and really enjoyed the event. Finally, the Asian Media Awards 2015 will take place on April 28-30, in Bangkok. They are organized by The World Association of Newspapers and News Publishers (WAN-IFRA). We’ll follow this one closely as we are working more and more with Asian media, and we’ll be involved in the judging as well. This entry was posted in Design, Graphics, News, Web by 5wgraphicsblog. Bookmark the permalink.